Tours de Sport's Blog: Go TWICE as far on your airfare, do the Colorado Ski Safari! 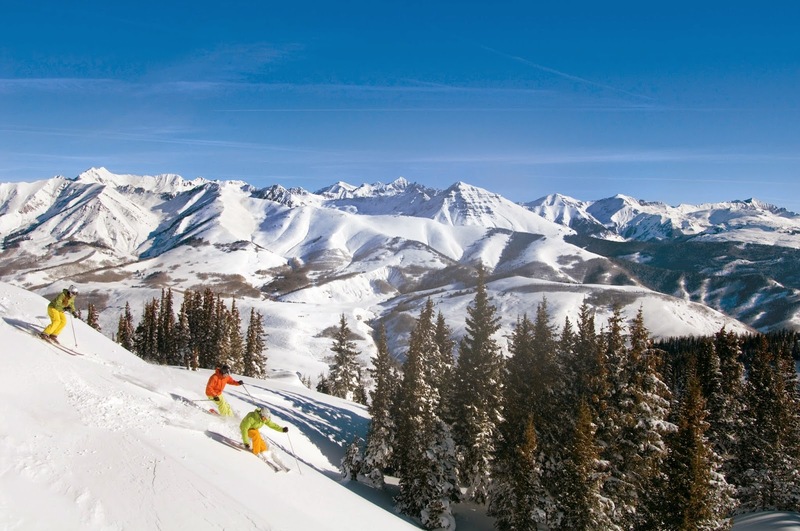 Go TWICE as far on your airfare, do the Colorado Ski Safari! Do you feel like skiing a few different resorts during the year? Does it seem like a lot of work to stay in one ski area and then leave it for the day, ski another resort, and then come back to your lodge? I always enjoy 3 to 4 days in each resort as it is important to get the feel for the resort and to get to know the mountain. It just isn’t the same if you are staying in Breckenridge and you “run over to Vail” for the day. That is why I like to think about the perfect ski safari. For Colorado, I think that ski safari is a cross between Telluride and Crested Butte. The two towns are both old mining towns but are very different in their characters. The skiing in either one is unique as Telluride has the Mountain Village area with the milder ski-in ski-out while the historic downtown is pretty much a double black diamond no matter which run you come down at the end of the day. At least, that is how it feels to me after a long day at Telluride. 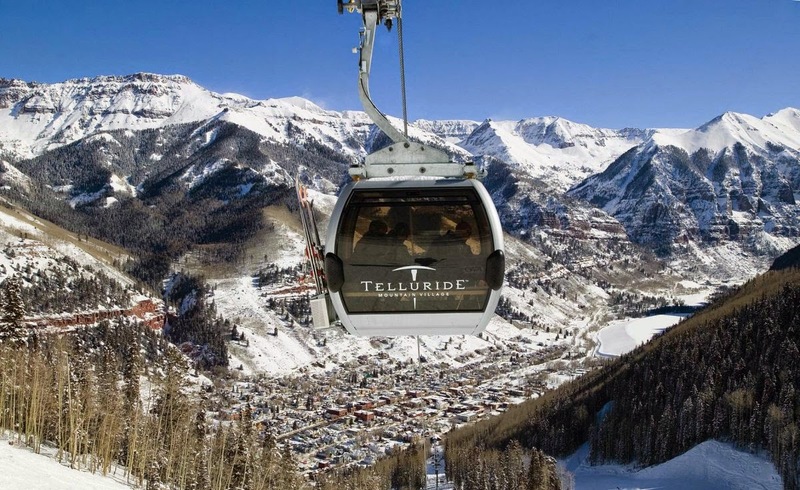 Telluride's version of the daily commute! Crested Butte has the mild to wild with the Paradise area and the hiking off the peak or picking your way down the back side. The village is smaller at Crested Butte with a very fun and completely casual downtown area. Don’t get me wrong, I think there is just as much nightlife in Crested Butte as in Telluride! Both resorts have some of the most beautiful views of the surrounding peaks from the town as well as from the mountain. Either resort has the luxury lodging to moderate or economy lodging so you can make the trip economical or splurge on some luxury. Either way, the ski-in ski-out is possible at a moderate cost. How to make it a ski safari? Flying into Montrose is the best option as it is just a 1.5 hour drive to either resort. You don’t even have to drive as there are shuttles to either resort from the Montrose airport. If you decide to rent a car, that is OK too, but you just need to have some confidence in mountain driving as these are rural roads and there is a mountain pass on the way to either resort. In both of these towns, there are fewer pillows than chairs on the lifts. So, you do the math…no lines! Just another ho-hum day at the Butte! Most people are doing two trips a year for 4 nights and 3 days each of skiing which is great but they tend to try to fly in and out of Denver or Salt Lake City as it is so much less expensive and there are so many options. So, instead of doing two trips that year, do one trip for 7 or 8 nights and include the ski safari. You save on airfare but you get the two resorts without all of the people. It is one thing to do quick trips to the resorts close to Denver. It is another thing to get to the western slope where it is hard to get to and fairly expensive air. Get more for your money and ski the two resorts on one flight, and twice the memories! Thanks Julie! As one of our Colorado locals, Julie has her finger on the pulse of what's happening on the Western Slope. Some sage advice here, from a skier who really knows the lay of the land!